Healthcare Power of Attorney . Easy-to-use. For Use In All States. Healthcare Power of Attorney forms (also referred to as Medical Power of Attorney) are often one of the most important documents an individual can choose to use. These forms will grant another adult the power to make medical and health care decisions on your behalf. 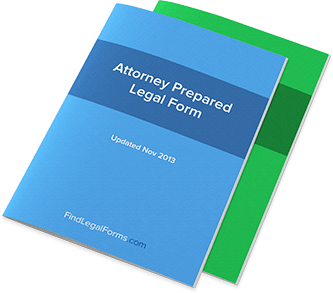 The forms can be limited by time, the occurence of specific event or a specific procedure. In setting the legal stage for how you want your life to play out, many people don’t stop and think about an advance health care directive. Heck, a lot of people don’t even know what it means or, worse yet, they simply haven’t heard of it before. So let’s put an end to this lack of knowledge and demonstrate both the definition and the usefulness of the advance health care directive. If you’ve ever given thought to what you want to happen to you in difficult circumstances (such as medical incapacitation) then there’s a good chance that you’ve come across a number of legal tools for expressing your wishes through legal documents. That’s all well and good, but if you’ve heard of so many of these tools that you’re not sure which is which anymore, the whole idea becomes confusing – leaving you less likely to take action. So let’s start with a definition. An advance health care directive is simply a term for the instructions you give for your medical care in advance of any medical incapacitation you suffer as a result of disease or injury. A living will is a document that fits under this umbrella because it follows this exact purpose. Medical power of attorney, too, is a way for you to use an advance health care directive to establish some sort of plan for what happens when you become incapacitated. In consulting an attorney, you’ll likely discover there are roles for each of these documents as part of an overall advanced health care directive plan; it all depends on what you want to happen and who you want to leave in charge if you don’t have the voice to speak for yourself. Needless to say, the potential ramifications of your various advance health care directives are vast indeed. How you want these tools to work in your favor will depend on your own personal opinions, wishes and philosophy. Figuring out what you want your directives to say will essentially stem from what you want to happen, and that stems from your own viewpoints. Your personal situation (for example, if you know you have health risk factors that might incapacitate you in the future) will have an impact on the kind of directives you want to establish, as well. Don’t be afraid of accepting outside input – for example, from a trusted lawyer – in crafting your own directives, but remember that it’s also important to stay true to your life principles. If you need to establish your own advance health care directives soon, it’s important that you take some sort of action today. Know the different roles that documents like living wills and powers of attorney will have in your directives, and make sure that you feel secure in the decisions you make. This will help you achieve a greater piece of mind, especially as you know that you’ve made arrangements for your future health care.